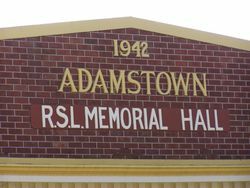 The former Adamstown R.S.L. 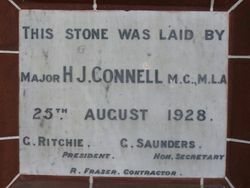 Memorial Hall was built by the returned serviceman's association for veterans of the First World War and opened in 1942. 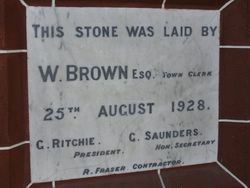 The foundation stones of the Memorial Hall were laid in 1928; the building itself was constructed in 1942. 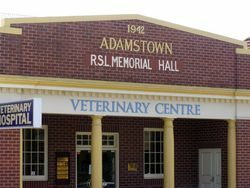 The building was sold in 2004 and converted into a veterinary surgery, which opened in 2007. The site is now under a proposal for redevelopment.